The 2019 permit season opens on November 14, 2018, for trips starting at the Mexican border. All other itineraries will open on January 15, 2019. While this is a simple overview of what the 2019 permit process will look like, it’s important that you read, understand and follow all the information outlined on our permit page. You’ll also find answers and important trip planning information in the Discover the Trail section of our website. The interagency PCT long-distance permit is only for people who are traveling 500 or more continuous miles in a single trip. 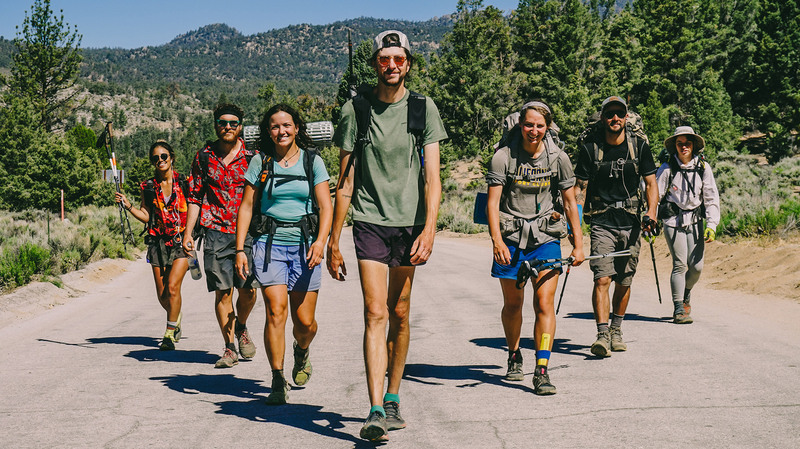 If you are doing a series of section hikes, or not hiking 500 continuous miles in a single trip, you’ll need to apply for permits from the local land management agency where you will start your trip. We’re happy to explain how to do this if you need help. On November 14 at 10:30 a.m. Pacific Time, 35 permits per day will become available. On January 15 at 10:30 a.m. Pacific Time, the remaining 15 permits per day will become available. We’ll start accepting permit applications on January 15 at 10:30 a.m. Pacific Time. On permit launch days, November 14 and January 15, you’ll see a new waiting room system on our website. It’s designed to reduce frustration with the permit process and improve the experience for everyone. When you visit the permit application, you’ll be automatically assigned a place in line. You’ll see how many people are in front of you and how long the expected wait time will be. When it’s your turn, you’ll have 10 minutes to leave the waiting room and enter the permit application and start applying. Then, you’ll have 20 minutes to fill out the application, and it typically takes most people less than 8 minutes. Be advised that due to the high interest in these permits, it may take up to 3 hours for applicants to navigate the wait time or queue. Plan on that when scheduling your day. Prior to 10:30 a.m. Pacific Time on November 14, the permit application will not be available. If you arrive early, you will be assigned a random place in line (alongside everyone else who also arrives before 10:30 a.m.). Anyone who arrives after 10:30 a.m. will get a place at the back of the line. We encourage you to arrive a couple of minutes before 10:30 a.m. but there is no benefit to arriving much earlier than that. If you are not applying for a permit for a trip starting at the Mexican border, we request that you do not visit the permit application on November 14 to reduce the number of people attempting to access it at the same time. In 2019, PCT long-distance permit holders can still access Mt. Whitney from the west (where the PCT is). The old “add-on” Mt. Whitney permit for the eastside that provided access down the Mt. Whitney Trail to Whitney Portal has been eliminated. Local agencies can still issue permits for access to and from Whitney Portal. Please read more about what you need to know about access to Mt. Whitney here. Have you read the permit page? It’s full of important information. To fill out the application, you’ll need your name, address, start and end date and start and end location. You’ll also fill out whether you want a Whitney add-on and whether you want to make a donation to the trail. The interagency PCT long-distance permits are free. Submitting an application secures your requested reservation date. We’ll review and approve applications in the days and weeks following the permit opening. Do not submit more than one request. You are advised to wait until your application is reviewed and approved before making travel arrangements.